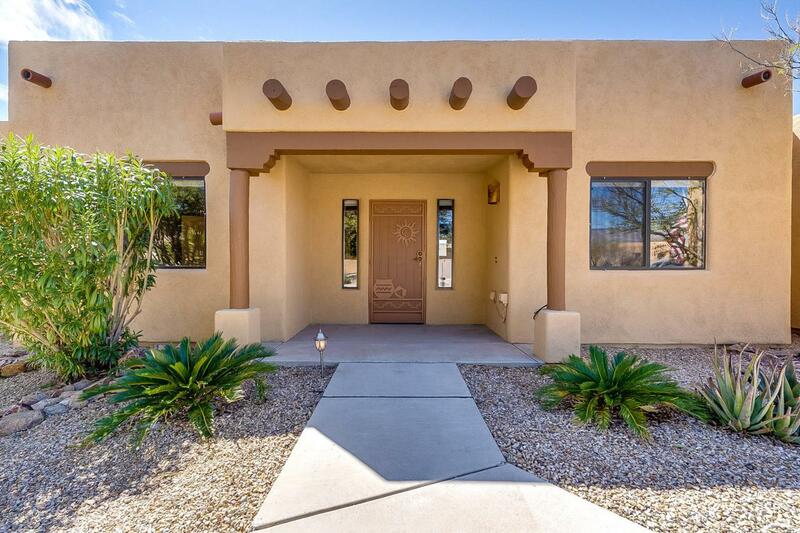 Well-maintained Santa Fe Style Sombra home in the Rincon Trails Community. 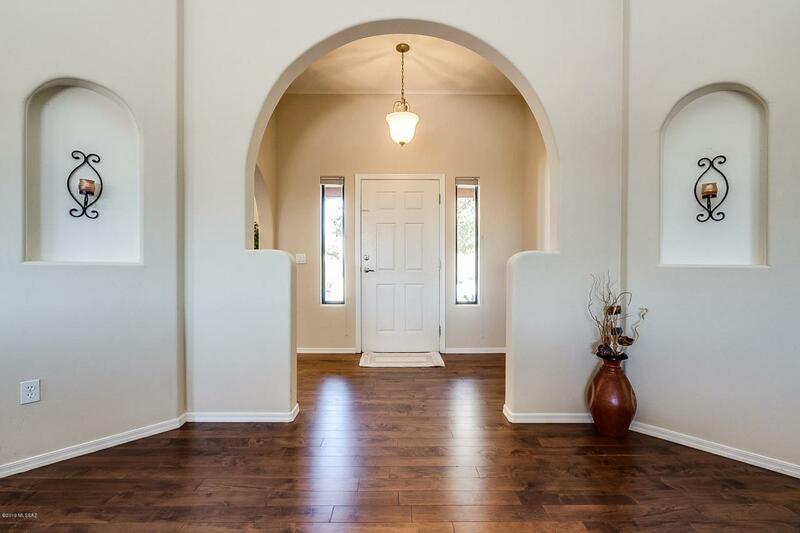 Features new homes rarely have: exclusive .37ac view lot on cul-de-sac backs to common area. Ktchn updtd in 2014 w/granite counters, cstm backsplash, SS appl-gas range, new dual sinks & fixtures. Mature bkyrd w/Pebble-Tec saltwater pool w/lagoon entry (blt-2014) & lighted stone water feature - viewable from kitchen. 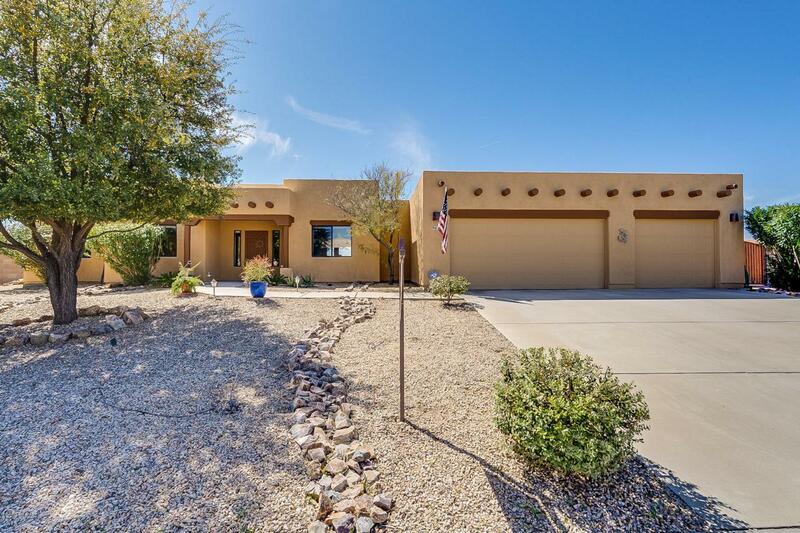 Ext 3-car garage w/finished flr & overhead storage racks, double-wide side gate. 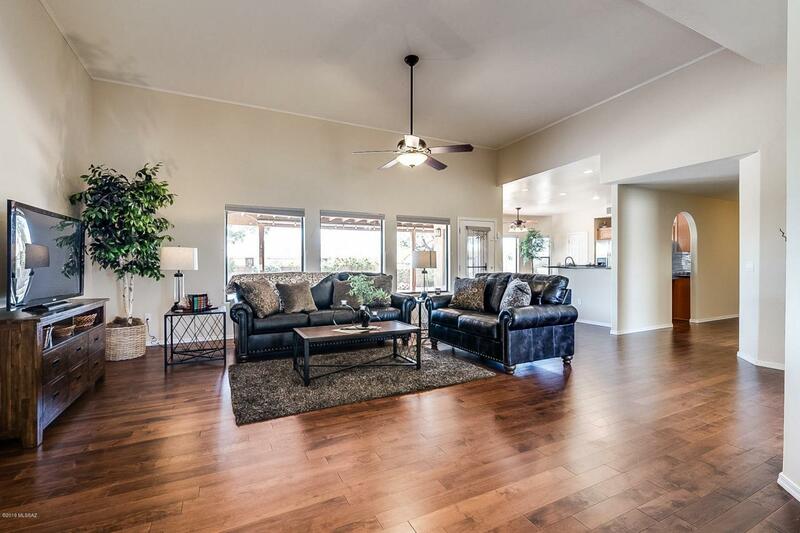 Additionally, high ceilings & open flrpln make the living rm & kitchen come alive w/natural light. Plank flooring in high use areas. Soft water syst. Split bdrm flrpln. Lrg mstr bdrm; bath w/soaking tub & shower; huge walk-in mstr closet. Other 2 bdrms & den are spacious w/lights & fans. Highly desired Vail School District!